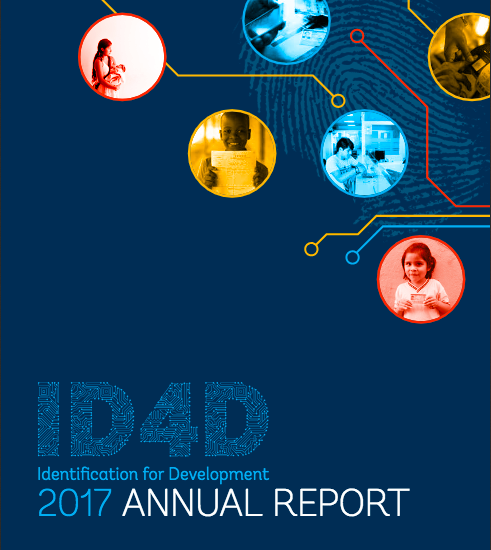 ID4D brings global knowledge and expertise across sectors to help countries realise the transformational potential of digital identification systems. It operates across the WBG with global practices and units working on digital development, social protection, health, financial inclusion, governance, gender, and legal. Given the size of the global identification gap, no single country, international organisation, NGO, or private sector entity can surmount this challenge by working alone—coordination is needed at the global, regional and national levels. To this end, ID4D has developed strong relationships with a range of actors working on this emerging topic—including United Nations (UN) agencies, foundations, think tanks and academics, regional bodies, private sector associations and standards bodies. In this report you can read their results and achievements in 2017.